While US-based cruise lines are offering fares of $399 or even $349 for a week in the Med this month, it is worth looking at how much cruisers are spending on board. At fare levels like these, it could easily come to more than the original amount of the fare. Meanwhile, P&O’s latest order with Fincantieri for a cruise ship confirms the revival of a two-funnelled style that disappeared with the Britanis, Emerald Seas and Norway. And billionaire shipowner Sammy Ofer died last week. A shareholder and director of Royal Caribbean for many years, in recent times he has also been a great benefactor of the National Maritime Museum and the Cutty Sark at Greenwich. Our question, several years later, has this changed? At the time, Rubacky spoke to Carnival ceo Micky Arison and Bob Dickinson, then Carnival Cruise Lines president, and was told that cruise lines had spent lots of money on new ships and that fares were basically the same as they had been twenty years earlier. They added that the new ships offered more amenities, more activities and more options, some unknown in the past. To some extent, Rubacky agreed with this argument, but he also pointed out that there had been a certain amount of “hawking” of wares by the cruise lines to get guests to spend more. Recently, some cruise lines have been quoted saying that their on board revenues now came to about 28% to 30% over the original ticket price, and now, thanks to cruise consultancy G P Wild International Ltd, we have some statistics to verify this. 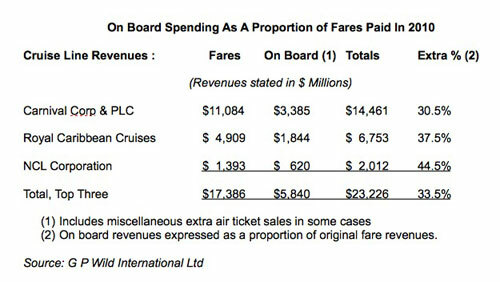 By extracting the information from the lines’ published financial statements, G P Wild have provided a breakdown that is more surprising than we thought, as in addition to the basic “all-inclusive” cruise ticket price, passengers today can look forward to spending on average on board of anything up to 45% on top of the fare they have already paid. Traditionally, on board revenue has included the bars and casino, followed by art auctions. But now shipboard shops and malls abound and passengers pay high charges for services in spas, for dining at alternative venues, for photographs and internet access, bingo cards and chain by the inch. To these have been added to-pay-for bridge and engine room tours, culinary workshops and wine tasting sessions, even newspapers on some ships, and pay per view movies, yoga classes and freshly-squeezed orange juice, all of which used to be included in the cruise fare. And shore excursions typically add a 100% mark-up. On top of this, contemporary lines do not allow alcohol to be brought on board, and if it is, it is confiscated until the end of the cruise. 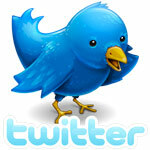 This ensures that passengers buy their drinks at inflated hotel prices on board ship. The concept of duty free drinks, once a point of publicity for cruise lines, has now totally disappeared. In fact, drinks prices have risen so inexorably over the past few decades that even the idea of duty free drinks has totally disappeared. With drinks selling for as much as $13.75, they are now one of the highest profit areas for cruise lines. And unknown to most, there are enforcers on board whose job is to increase on board revenue by what is called “guest participation.” The onboard revenue manager reports o the hotel manager, and reports not only on board but also to head office to an overall shore-based manager of onboard revenue. The onboard manager is now in charge of the casino, art auctions, shore excursions, the photo shop, golf pro, acupuncture, the spa, computing, the florist and port shopping and has indirect links to the laundry master, activities manager and bar manager, so they can keep an eye on the revenue stream. With ticket prices as low as they sometimes are, the lines have to make their money somewhere, but contemporary lines do come across as overly commercial sometimes. On another subject, it is Interesting how in the past few years, cruise lines have been using onboard credits to attract people to book rather than cutting the actual ticket price. What this means of course is that instead of saving money now on a cut in the ticket price, you will save it later as free onboard credit. In order for the onboard credit to mean anything of course you will have to spend it on the ship, and what you pay will include cruise line’s mark-up. For example, if a shore excursion is marked up 100%, you might pay $100 for something that is only worth $50. It makes one wonder what they have saved. Although the $1,000 you didn’t save on the ticket price has now been spent on board you might have got the equivalent of $500 worth of value. The top-rated lines avoid the issue of on board spend entirely by including alcoholic and other beverages, gratuities and port charges in the fare, and one line in particular, Regent Seven Seas, goes even further by including shore excursions. While contemporary lines generally charge extra for these things, there are two exceptions. In Spain and France, Pullmantur and Croisieres de France now include all bar, pool and dining room drinks in the fare. This has turned out to be such a great leveller that competitor Iberocruceros last month added its €112 beverage package into their fares, although it can be deducted. Other lines such as Celebrity Cruises and Thomson have followed the likes of Louis Cruises by introducing an optional drinks package that can be purchased either on booking or on board. Royal Caribbean too is now experimenting with drinks packages on three ships in the Med. Judging by Celebrity’s latest pricing for drinks packages, however, released two weeks ago, the original program must have been two successful as prices have now been significantly ramped up. Today, for $44 a day ($308 a week) one can get an unlimited supply of beers up to $5.75 and wine and drinks up to $9.25 a glass. This package, previously costing $39 a day, has gone up 12.8%. But as the minimum Celebrity drinks package of $29 a day for wine and beer only has now been abandoned, this really amounts to a rise of more than 50% for those who don’t drink spirits! The premium package, for beers, wine, cocktails and spirits up to $13.75, now costs $54 a day ($378 a week), previously $49, for a rise of a little more than 10%. These packages seem poor value next to Iberocruceros’ €112 (about $168 a week) and Pullmantur’s “free” drinks. And not only that, but on top of all these packages Celebrity adds a 15% service charge. Depending what you’re looking for, it may be worth looking elsewhere as even Royal Caribbean’s recently-introduced trial drinks packages start at only $29 a day. But the real moral of the story is don’t eliminate a cruise line on the basis that it is too expensive. As of next year all the top lines will be all-inclusive so remember to add at least 40% or possibly 50% to the fare you’re quoted on any line that is not all-inclusive before you do your comparison. Then count the number of lower berths above 1,000 and subtract $100 for each 500 beds above that mark (for crowding) and you will have a much better comparison. P&O Cruises last week announced an order for a new 141,000-ton cruise ship for delivery in 2015. the design is based on the platform for Princess Cruises’ Royal Princess and Regal Princess, which will be introduced in 2013 and 2014. The P&O ship, which will accommodate 3,611 passengers in lower berths, is interesting, as the line has reverted to a more traditional appearance with two conventional funnels. What makes this unusual is that P&O went straight from three funnels with the Strathnaver and Strathaird, the first P&O ships to carry white hulls, in 1931-32, to one funnel in the Strathmore, Strathallan and Stratheden of 1935-38. The last important P&O ship to have had two funnels arranged fore and aft was the original Oriana, built for the Orient Line in 1960. 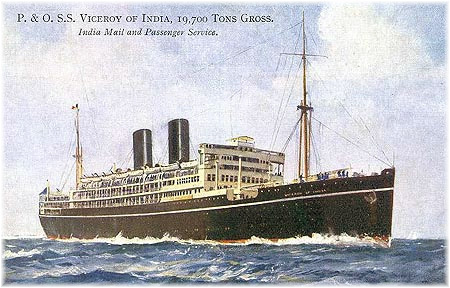 Previous to that, the most famous two-funnelled P&O ship was the Viceroy of India, delivered in 1929. Two funnels have made quite a comeback in the past decade or so. Starting with the original Disney Magic and Disney Wonder in 1998-99, these were followed by six Holland America “Vista” types (Zuiderdam through Nieuw Amsterdam)in 2002-10 and joined by five Celebrity Solstice classships in 2008-12, then Disney Dream this year and Disney Fantasy to follow next. Cruise ships have now entered a size bracket where two funnels have become relatively common once again. The original Oriana was built for the Orient Line in 1960 and became a P&O ship in 1965. Indeed, after the new P&O ship is delivered there will be sixteen ships carrying two funnels in the fore-and-aft mode. Meanwhile, the last of the traditional two-funnelled ships, NCL’s Norway, was retired in 2003. News has come this weekend of the passing on Friday of Sammy Ofer, a member of the Royal Navy during the Second World War, and a major shareholder in Royal Caribbean Cruises. Ofer was a businessman, shipping magnate and one of the wealthiest people in Israel. 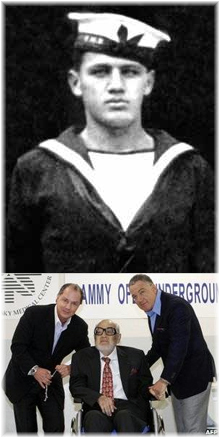 His shipping interests included not only Zim Integrated Shipping Services Ltd and Zodiac Maritime Agencies Ltd in London, but also a 16.5% interest in Royal Caribbean Cruises Ltd and a 12% stake in South Korea’s Hanjin Shipping Co Ltd.
Born in Galatz, Romania, on February 22, 1922, Sammy Ofer, then known as Samuel Herskovich, immigrated with his family to Palestine in 1924 and settled in Haifa. Starting his career with Haifa-based shipping agency M Dizengoff & Co Ltd, with the outbreak of the Second World War, he enlisted in the Royal Navy and served as a petty officer in a minesweeper based at Alexandria. He later also served as an officer with the Israeli Navy. Ofer’s first ship purchase was the 460-ton motorship Eyal, named after his eldest son. The Eyal ran for Mediterranean Seaways Ltd, which was founded by Sammy and his brother Yuli, together with Mordechai Mano, in Haifa in 1956 to run services in the Mediterranean, to the Adriatic and to Bulgaria and Romania. Mano left the association ten years later to found Mano Maritime, which today operates the cruise ships Golden Iris and Royal Iris out of Israel. The Ofer brothers meanwhile expanded into other areas of shipping, amassing a fleet of well over 200 bulk carriers, tankers and container ships, as well as taking an interest in Royal Caribbean Cruises Ltd, and in real estate and banking. Sammy’s son Eyal took his father’s position on the board at Royal Caribbean in May 1995 and Sammy’s wife and Eyal’s mother Aviva sponsored Royal Caribbean’s Grandeur of the Seas at Miami in 1996. Six years later, Eyal’s wife Marilyn also sponsored a Royal Caribbean ship when she acted as godmother for the Brilliance of the Seas at Harwich in 2002. 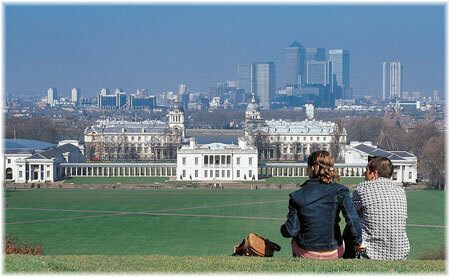 In March 2008, Ofer donated £20 million to the National Maritime Museum at Greenwich as part of a £35 million expansion program. He also donated £3.3 million to help complete the restoration of the preserved clipper ship Cutty Sark, also at Greenwich. That November, Ofer was made an Honorary Knight Commander of the Order of the British Empire (KBE) in recognition of his involvement with maritime heritage in the United Kingdom. The Sammy Ofer Wing of the National Maritime Museum is due to open on July 11.